Finance for Restaurants, Hotels & the Hospitality Industry! Hospitality is one of the most competitive industries in the world and being within the business means that you have to be on top form. Whether you offer a catering service or own a restaurant or hotel, each and every one of your clients will be hoping to receive outstanding services, at the most affordable prices. That’s why you need to have fully operational, state-of-the-art equipment at your disposal. Your hospitality business may be strictly food related or it may simply function to provide lodgings, but in either event there will be specific equipment that you will need to keep your customers safe, secure, comfortable, healthy and above all else; coming back. Commercial equipment finance can help you to ensure that you are able to provide nothing but the finest for your patrons, while using the equipment itself as security for the loan. This provides you with the added security of stable budgeting for your company’s finances. From functional electrical equipment to cater to your hotel room’s needs to the necessary appliances for your restaurant’s kitchen, financing may help you to provide everything your customers need – no matter how small or large. Laws and regulations within the hospitality industry are always changing to ensure that consumers are in receipt of the most reliable services available. Unfortunately for a hospitality business, this can sometimes mean that certain pieces of equipment may not be up to standard. 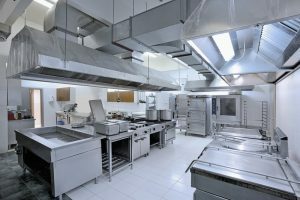 For example, food safety laws are often changing to establish best practices within the kitchen, so factors such as having the latest cooling equipment could mean the difference between your establishment passing and failing sanitation inspections. The correct finance may help you to replace and update fixtures. For many business owners, having the ability to rely on business finance ensures that they can stay on the cutting edge of the industry, whilst remaining extremely competitive for those all-important customers. Tundra Business Synergy trading as Equipment Loans Online. Credit Representative Number 496186 is authorised under Australian Credit Licence Number 389328. ABN - 63 007 814 458.